The Australian Tax Office (ATO) has launched a great selection of short educational videos dealing on all matters to do with self-managed superannuation funds (SMSFs). The short animated videos are only 2 -3 minutes each and cover topical subjects as well as key responsibilities for SMSF trustees in an easy to understand format. The headline for each video contains a link that will take you to the appropriate Tax Office web page, which also publishes the full transcript of the contents of each video if you prefer reading. Before you decide if an SMSF is right for you, you should have an idea of what’s really involved. Take a look at the key steps in setting up your SMSF. This video deals with how SMSFs (or as they used to be known, “do-it-yourself” or DIY super funds) are not really very DIY at all. The video introduces the different people an SMSF trustee will have to work with, or who can help trustees meet their obligations. A trustee declaration must be completed and kept on file by SMSF trustees. Find out more about it here. Learn more about the sole purpose test and what it means to your SMSF investments. Your SMSF needs to meet the sole purpose test to be eligible for the tax concessions normally available to super funds. This means your fund needs to be maintained for the sole purpose of providing retirement benefits to your members, or to their dependants if a member dies before retirement. Contravening the sole purpose test is very serious. In addition to the fund losing its concessional tax treatment, trustees could face civil and criminal penalties. It’s likely your fund will not meet the sole purpose test if you or anyone else, directly or indirectly, obtains a financial benefit when making investment decisions and arrangements (other than increasing the return to your fund). When investing in collectables such as art or wine, you need to make sure that SMSF members don’t have use of, or access to, the assets of the SMSF. Your fund fails the sole purpose test if it provides a pre-retirement benefit to someone – for example, personal use of a fund asset. What are super contribution caps? Learn about the types and limits on super contributions and SMSF trustee responsibilities. Your SMSF’s investment strategy is the framework that guides your investment decisions. It pays to have a good investment strategy that is regularly reviewed. Learn what factors your SMSF’s investment strategy needs to take into account. Make sure you meet all your SMSF obligations before lodging your fund’s annual return. Learn about what is involved in paying an income stream to a member. Watch this video to learn how tax applies when you pay benefits from your SMSF. All SMSF transactions must be on an arm’s-length basis. This means that fund assets must be bought and sold at market value, and income on the assets should show a true market rate of return. SMSF assets must be kept separate from your personal or business assets. Learn more about how to protect your fund’s assets. 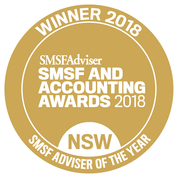 Here the ATO have focused on SMSF loans and early access, with the perceived problem being that people mistakenly think that an SMSF can provide them with a loan, or that they can access their super savings whenever they like. Your SMSF should prepare for the unexpected, including what to do if a member dies, becomes incapacitated, or there is a relationship breakdown. Has your fund breached the super laws? This video shows possible consequences and how you may be able to influence the outcome. Thinking about winding up your SMSF? Here are some common reasons for winding up and the steps to follow to get it done. 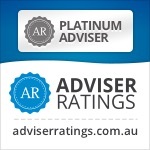 Our copy of our Financial Services guide can be obtained by visiting our main www.verante.com.au website.